Have you responded to the annual canvass yet? Each year, the council has a duty to check that the right people are registered to vote at every address in the borough. 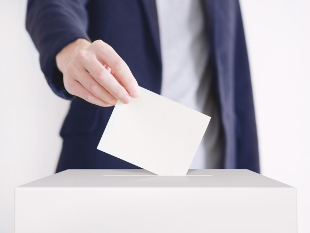 The Household Enquiry Form has been sent to every residential property, and residents need to confirm or, if necessary, update who is currently living at the address and is eligible to vote. Residents are encouraged to respond by Thursday 15 August to avoid the need for the council to issue a reminder form, which will also help to save on unnecessary costs. Responding to the form has never been so quick and easy; residents can choose from online, text or via an automated phone response service. The details of these services and how to use them are printed on the form. It is a legal requirement to respond to the Household Enquiry Form, and residents could be fined £1,000 if they do not respond. If you any have questions about the annual update of the electoral register please email the elections team or contact our helpline on 020 8583 2828 (Monday to Friday between 9am and 5pm).